Yesterday, reports flooded in saying that Google has been fined a record $5 billion by Europe’s competition watchdog for abusing its dominant Android mobile operating system to cement the popularity of Google apps and services. As result, Sundar Pichai has come up expressing his response along with stating the potential future of Android. 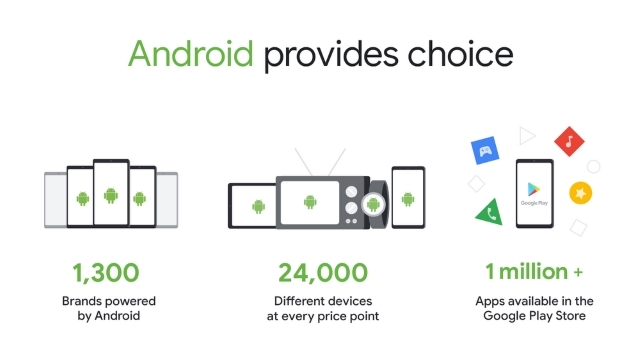 In an official blog post, Google CEO Sundar Pichai has stated that “Android has created more choice, not less”, and if Google is prevented from bundling its own apps, that will upset the Android ecosystem. While EU hasn’t made any suggestions on exactly how Google should solve its app bundling violations, the fact that Pichai making a statement of upsetting the Android ecosystem can be seen as a warning to phone makers, and more importantly, the consumers. Currently, Google ensures that its OEMs bundle Google’s Apps along with their devices. However, if phone makers can bundle their own browsers instead of Chrome and point search queries toward rivals, it could hamper Google’s mobile ad revenue, which constitutes more than 50 percent of the company’s net digital ad revenue. As a result, we could very well see Google introduce a premium for its manufacturers to use Google’s technology, which could eventually result in smartphones getting more expensive. While it is highly unlikely that the EU Commission would be affected by this threat, the potential news of Android getting paid could actually cause an uprising in the community, thus leading to a public backing for Google.